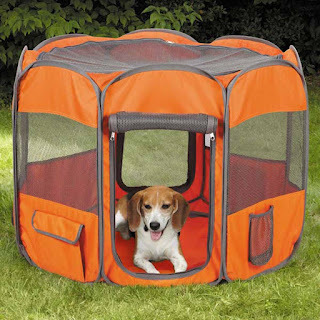 Dog carriers are meant essentially for transporting your pet in a comfortable and secure manner. They are highly useful in cases like taking the dog to the vet, training classes, visiting relatives or friends, taking him/her on a vacation or simply going for a drive in your car. While the carrier serves so many causes, it is mandatory to select one that makes your pet feel comfortable while travelling. That means, you need to get one that is slightly bigger than the size of the dog. 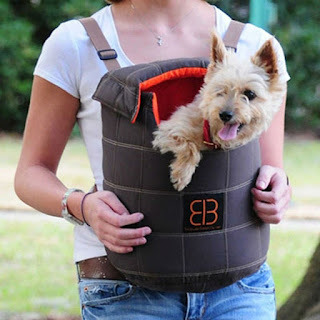 The best part is, now you can ditch those monotonous carriers and go for one from the range of designer dog carriers. 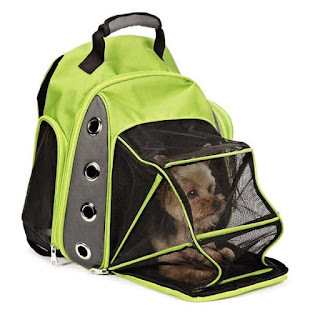 If you the plan of taking your dog with you for the holiday trip, getting a carrier is essential. Also, if you are flying, make sure to go with airlines that approve travelling with dog carriers. 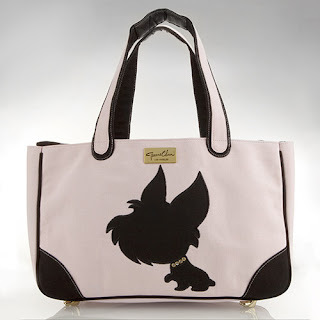 The specialty about pet carriers is they possess a den-like feature which makes the dog feel safe and secure. And this is one reason why they don’t bark when travelling within it. It is one of the most reliable one for transporting your dog and are usually made of heavy gauge wire or plastic. Both of these types are highly durable and well ventilated. The wire carrier has got a plastic floor tray that is removable for cleaning. 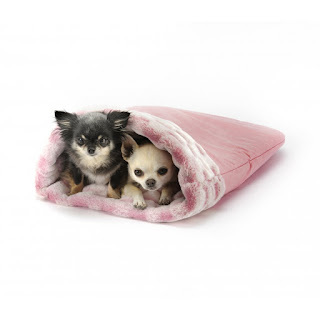 But make sure to get a vet bedding and padding for both the carriers. This will render comfort to your canine. These are ideal for medium to large size dogs and come with a handle and wheels. Hence they are easy to be carried, especially if your dig is very heavy. Crate like carriers are perfect when you are travelling in car since they can be easily strapped and are non-crush able. If you love cycling, why not take your dog out with you? 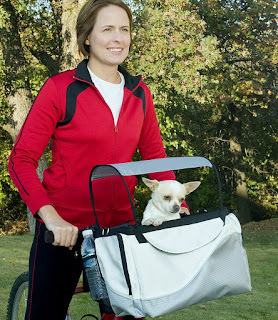 Basket carrier for dogs is attached to the front of the cycle and can be easily removed whenever you want. These baskets are made keeping all the safety norms in concern for your pet. Well, you might be looking for a ready made padded basket but if you are unable to get one, you can add up cozy blankets. 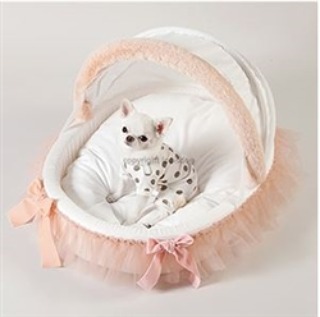 Some of the high quality baskets come with padded chin rest along with a pocket for storing useful things like a ball, some treats and others. Well, do remember that a basket carrier isn’t suitable for a fully grown up dog. Celebrities are generally obsessed with small dogs and this trend is also common to the general public. 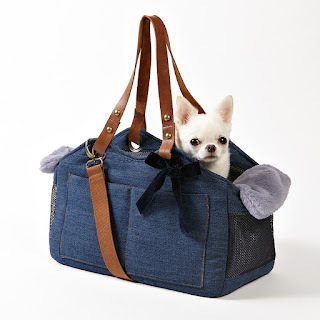 To fit your needs, there are designer dog carriers available for small dogs. Sling style carriers are most common here as they allow you to carry your dog across the chest or as handbags or backpacks. These are usually made from fabrics like hessian, cotton, denim and also synthetic materials like nylon or polyester. 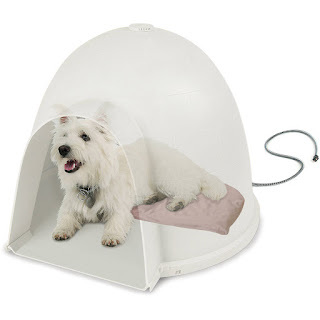 They come with a door made of light fabric so that the dog is able to look around. So now that you are aware of the different types of dog carriers and their specifications, get one for your pet keeping their body size and weight into concern. The dogs do not like stay inside the house all the time. In fact, an enclosed environment will turn the pet into a lazy one which might take a toll on his or her health. This is why it is better to let them spend quality time outdoors. The dog owners often ignore the fact that the dogs might need a place outside the walls where they can rest for a while. Sometimes, the big dogs tend to sleep outside the house also. 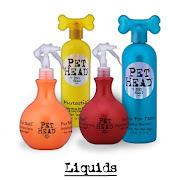 Even if the dog lovers find a cute home, those novelty products are not good for the health of the canines. The material is cheap and has less durability. The houses also do not have the provision for proper ventilation too. There are many things that decide how a dog house must be manufactured so that the pet can spend time in comfort to rejuvenate. Every season is different. The summer season takes a toll on the furry ones. As per the vets, the dogs must play outside in order to stay healthy. They will also need a place under the blazing sun to stay cool and rest. Dogs sweat profusely during the summer season which is why they feel thirsty very frequently. The cheap houses are made of bad quality material and lack proper planning. These types of houses are either too cold in the winter or too hot in the summer. Sometimes the internal environment of the house turns out to be very toxic when it is made of cheap plastic. There is no extra space or provision for the passage of air or ventilation. 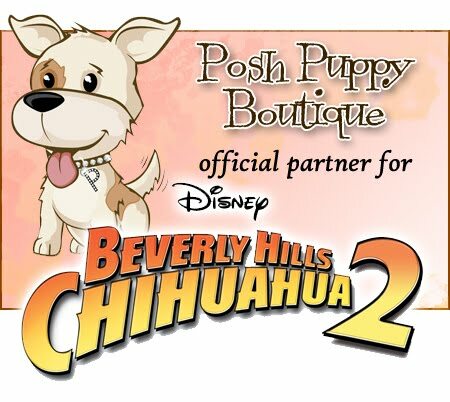 The pawed friend will feel suffocated inside this type of designs. Like the properly fabricated luxury dog accessories, the dog houses in the online store of excel in intelligent designing and innovation. The products in the infirmary are made of 100% safe material and dog-friendly accessories. All you need is a durable product for the pawed family member which will be the most preferred corner to rest or hide while doing mischief. 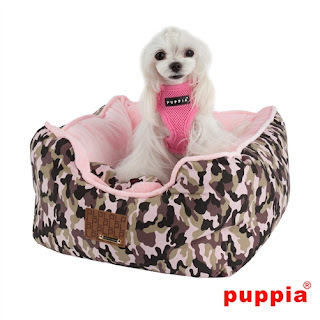 No matter how much the ambitious and enthusiastic your dog is, the houses in the luxurious collection will be the ultimate choice for making a durable style statement. 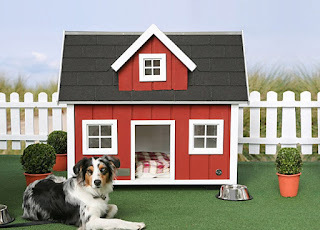 All you want in your dog house is that it should be aesthetically perfect for your pet friend. 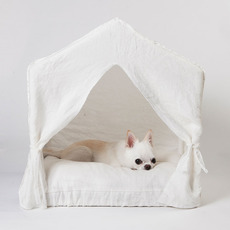 Mostly the fabric used in the adorable luxury dog accessories like the houses must be friendly to the furry chum. The dogs need warmth in the winter. In the same way, they also need proper ventilation in the summer. The brilliantly designed dog houses here will provide ample ventilation along with the protection from the weather conditions. The size and the shape of the houses will comply with the breed and the size of the canines. 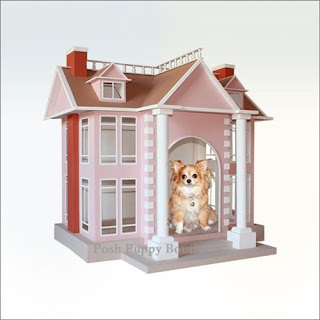 The designer dog houses can be easily maintained. It is a mandatory dog accessory every dog owner must have. 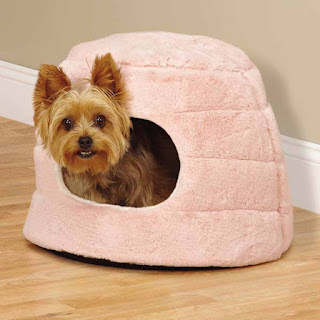 Prepare a healthy and comfortable space for your pet with this adorable dog houses. Your best friend, the four-pawed canine pet, might be looking for a comfortable place to sleep or rest after a long hard day of mischief and nuisance. Sometimes, the pet dogs find it on your favorite spot on the couch. It is time to buy a nice and cozy bed or else he or she will end up snuggling beside you in your bed. Buying a bed for your pet can be an intimidating job as it involves a lot of factors. This type of beds is for the smaller size dogs. The cushion walls make them comfortable and safe. This type of designer dog beds come with huge space and pillows where the big chums can rest easily. 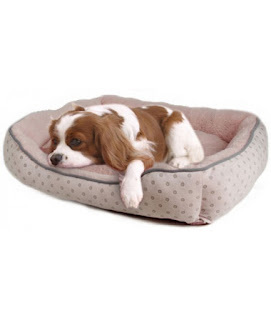 The designs are specifically fabricated to cater comfort and fit the entire length of the dog. These beds are easy to carry. 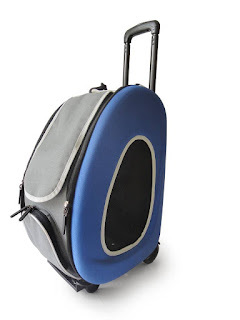 When you are a travel-monger and like to carry your pet with you then this is the ideal choice. The heated beds are cozier for cold months of the winter season. The old dogs get very comfortable in this type of beds as the heat help them to fight the pain and relax. The elevated beds are best when the summer arrives and the floor tends to get warmer. You can add mattresses when the winter arrives. Choosing a luxury dog bed is not an easy job. First, you need to know the size of the adorable friend. The length and age of the canine must be known so that the bed you choose should fit him or her even after she grows with time. The professional recommend buying a bed which is 12 inches longer than the size of your dog. A master knows what his or her pet likes to do. If the dog likes chewing and tearing the first thing he or she notices then you should opt for stronger material. The durability factor does not complement the comfort factor. The stronger beds are made of tough material that will not be an ideal place to couch in. On the other hand, the orthopedic beds are best for the senior canines to ease the pain. 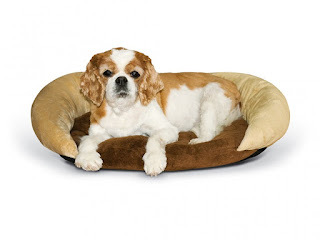 Check our designer dog beds from online which are great choices when both durability and comfort are the prime concerns. All you need to find is whether the bed is good enough for your pet friend and the design compliments the interior aura of your home. The color of the fabric used should match the internal beauty of your house. The dog will become fond of his or her luxury dog bed in no time. 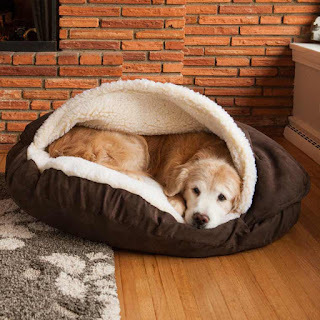 These beds are the best accessories you need to make your apartment perfectly dog-friendly. Go for the high-grade posh designs that will elevate the ambiance of the room with their top-notch outlook. 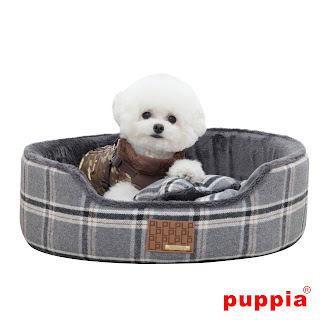 Make an elegant style statement with the luxurious yet durable bed for your furry friend.